Ute Indians butchering cattle at the Los Pinos Agency between 1869 and 1874. After they were relegated to various reservations in Colorado, Native Americans received annual shipments of cash and supplies, generally referred to as "annuities," at government-operated Indian Agencies. 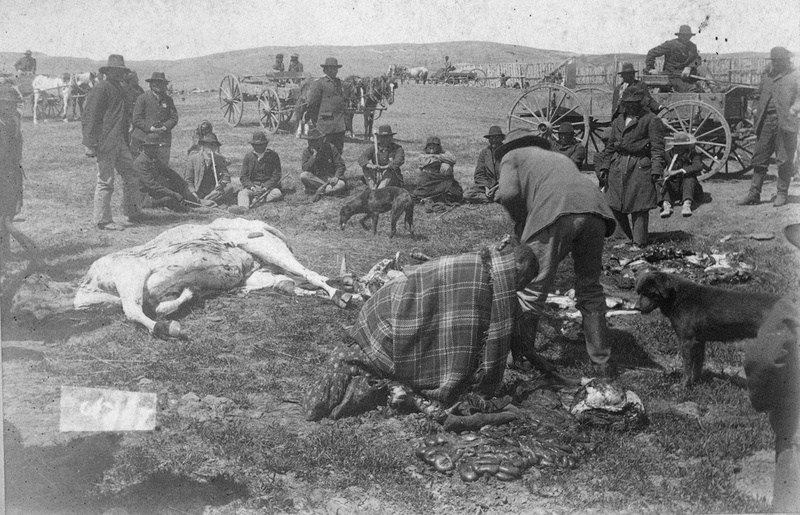 Butchering Cattle at the Los Pinos Indian Agency, Colo.